In addition to strict privacy laws, France’s libel laws make it easy to sue for defamation. Losing a libel case against a public official carries a higher fine (€45,000) than libel against a private individual (€12,000), which chills public interest criticism of politicians and government officials. France has some of the toughest hate speech laws in the EU. The number of legal actions for hate speech have multiplied after the 1881 Law on Press Freedom was amended to introduce the offence of inciting racial hatred, discrimination, violence, or contesting the existence of crimes against humanity, which has been very broadly interpreted as the right not to be offended or criticised. Some civil society groups have even managed to force the cancellation of public debates in order to prevent potentially libellous or racist remarks. Since 2004, wearing signs or clothing that overtly manifest a religious affiliation is prohibited in schools. In 2011, France implemented a ban on the niqab or face veil in public places. In September 2011, Paris passed a ban on Muslim street prayers, restricting the right to religious expression. France’s media is generally regarded as free and represents a wide range of political opinion. Still, it faces economic, social and political challenges in particular from the security services and from the country’s stringent privacy laws. Since 2009, France’s president has appointed the executives in charge of its public broadcasting outlets. This controversial measure was heavily criticised since, as it was seen as politicising public broadcasting and put into question its executives’ independence President Francois Hollande has promised to relinquish this privilege. He has also promised to review policies related to public broadcasting funding and management. Another challenge for media freedom in France has been state intervention to prevent the exposure of corruption. According to the Committee to Protect Journalists, former President Nicolas Sarkozy used the security services to identify the sources of leaks around the 2010 Liliane Bettencourt affair. In addition to accessing the phone records of a Le Monde journalist, journalists from major newspapers were also investigated. Not only did the chief of intelligence violate the confidentiality of journalistic sources, but he questioned the journalist’s right to investigate public corruption. 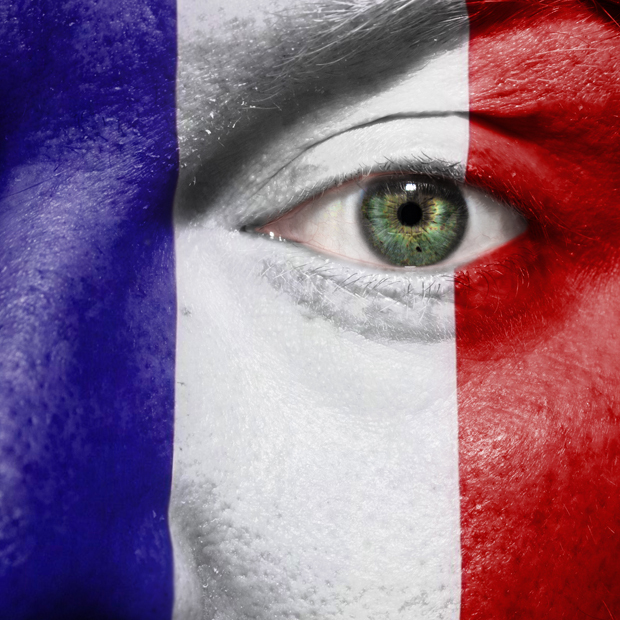 France’s privacy law is often described as the toughest in the world. This is because the publication of private details of someone’s life without their consent is a punishable offence, with limited public interest defences available. Privacy is safeguarded not only by civil law provisions but also by the existence of specific criminal offences which indirectly promote the withholding of information and self-censorship and limit the exposure of political corruption. About 79.6% of the French population is online. Yet, digital freedom is curtailed by anti-terror laws, increased online surveillance and libel laws. Online surveillance has been extended as a result of a 2011 anti-terror law and Hadopi 2 (the law “promoting the distribution and protection of creative works on the Internet”) which is supposed to reduce illegal file downloading. Hadopi 2 makes it possible for content creators to pay private-sector companies to conduct online surveillance and filtering, creating a precedent for the privatisation of censorship. Another 2011 law requires internet service providers to hand over passwords to authorities if requested. Concerns have been raised over new legislation enabling the authorities to impose filters on the web without a court order and on the impact of new anti-terror laws that allows for the blocking of websites. The French Press Freedom Law of 1881 – which guarantees freedom of expression for the press – has been amended so that it applies to online publication. It aims to extend the protections for press freedom online but also allows people to take legal action for libellous or hate speech online, including on blogs posts, tweets and Facebook comments. In October 2012, a French court ruled that Twitter should provide the identities of users who tweeted jokes deemed to be offensive to Muslims and Jews. This was after the Union of French Jewish Students threatened to bring the social media giant to court. During the course of the case, French Minister of Justice Christiane Taubira said that it is a punishable offence to make racist or anti-Semitic comments online. There is pressure to reframe the 1881 Law on Press Freedom, which many consider “no longer adapted to new technologies”. France has a vibrant art scene but one restricted in various ways by hate speech laws and by interference from public authorities. Racial hatred and other discriminatory and violent language in artistic work with a potentially large audience is criminalised as a “public expression offence”. Many artists have been brought to Court for this offence which lies mainly in Article 24 of the 1881 Law on Press Freedom. This offence is particularly serious since it is punishable by five years’ imprisonment and a €45,000 fine. Government officials, civil society groups, and individuals have repeatedly sued artists for defamation and incitement to violence. The Code of Intellectual Property protects artistic works whatever their content and merit, and protects their authors. However, artistic freedom of expression can be restricted by various authorities – Ministry of Culture, Superior Council of Audio-visual (Conseil supérieur de l’audiovisuel, CSA) – whose decisions may limit not only the dissemination of works, but also their production (TV, films).The CSA for example, whose members are political appointments, is regularly exposed to pressure from the public, elected officials, or political authorities to censor artistic works. Its confusing, what does France do about defamation of character? I know a person whos ‘in laws’ are french and just after he and his wife decided to move to france with their 3 children after been together in spain for 11 years assuming his in laws would be happier he learned that they had been talking about him for years to their neighbours, local post office, town hall etc, THE WHOLE TOWN. Also been that his in laws where retired tailors who worked inside a french army base they used their contacts their to get police to stalk my friend to learn about anyone he had been on contact with and told them he was a convict in the USA, while no proof to show they asked the people to not let my friend know and that they where in the process if finding out, and they contacted people like the phone company, electric company, his french school and any possible job offers he was engaging in as well as other gove agencies, and they had been doing this for years with out his knowledge to give my friend the impression everyone was xenophobic there. From what i seen, heard and witnessed i dont think france’s defamation laws do anyone good, its just giving the gov powers to intrude themselves on privacy of others. Free speech is limited by defamation law? That can be a difficult issue to analyze, is any lie permitted – but it there are many similar laws that could be said to “restrict” free speech. Copyright laws, trademark law, protecting trade secrets, protecting state secrets. Ironically, this website has a trademark notice thus restricting freedom of speech.